The NTC thermistors, or Negative Temperature Coefficient thermistors, feature resistance which decreases as the temperature increases. 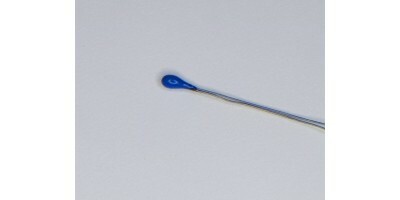 Here at Rhopoint Components we offer NTC thermistors from the leading industry manufacturer Ametherm. Their ACCU-CURVE series of NTC thermistors is a popular choice for medical, industrial and automotive applications and are mainly used for temperature sensing, control systems and compensation systems. Browse our range of NTC thermistors below.